Samsung Galaxy Note 8 PyeongChang 2018 Olympic Games Limited Edition has been unveiled in Seoul, South Korea, to extend the company’s Olympic legacy. The South Korean company will give more than 4,000 units of the Limited Edition Galaxy Note 8 to athletes and the PyeongChang 2018 Olympic family, including the International Olympic Committee (IOC) and the 2018 Olympic and Paralympic Winter Games (POCOG) staff before the games begin in early February. 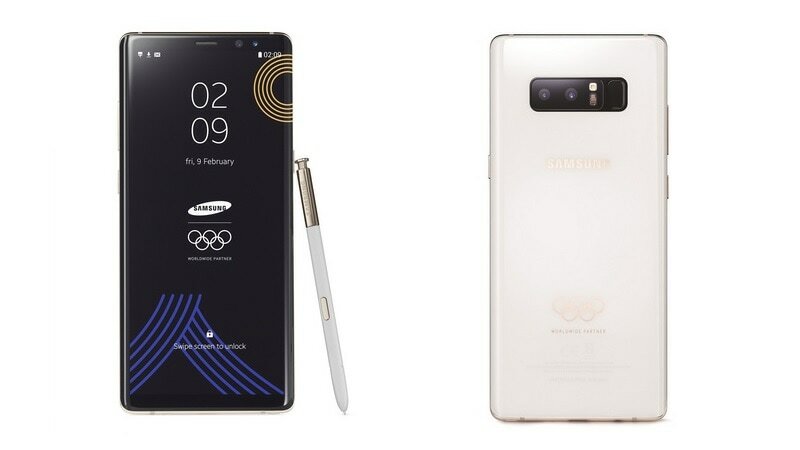 Notably, the new model bears internal hardware identical to the original Galaxy Note 8, though it sports a shiny white back glass and the gold Olympic rings on the outside – inspired by the Olympic Torch alongside a rock golden finish rim and buttons. There are also some golden finish elements on the S Pen that comes bundled with the Limited Edition Galaxy Note 8.